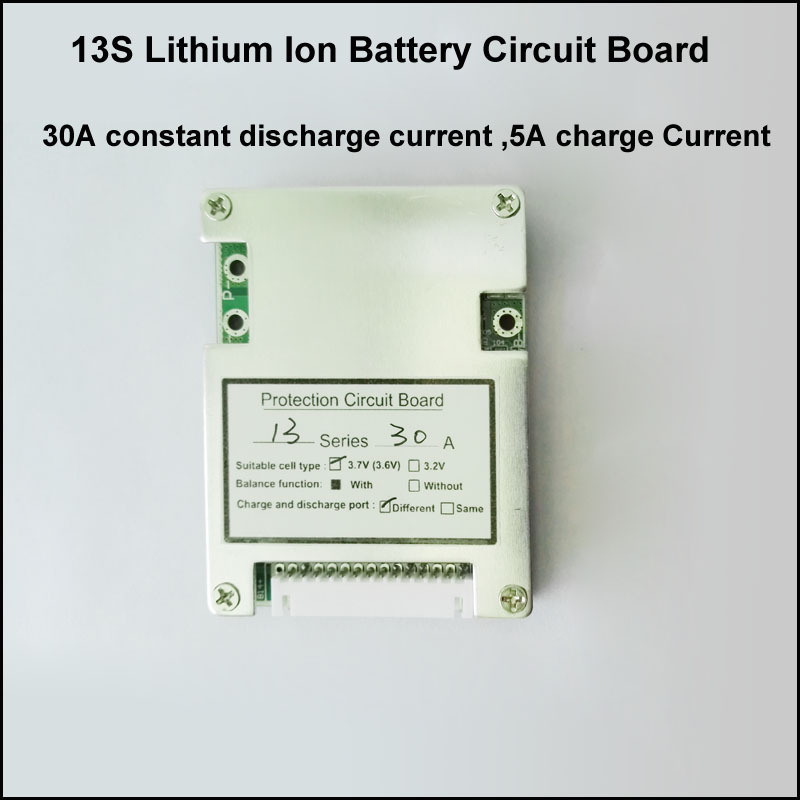 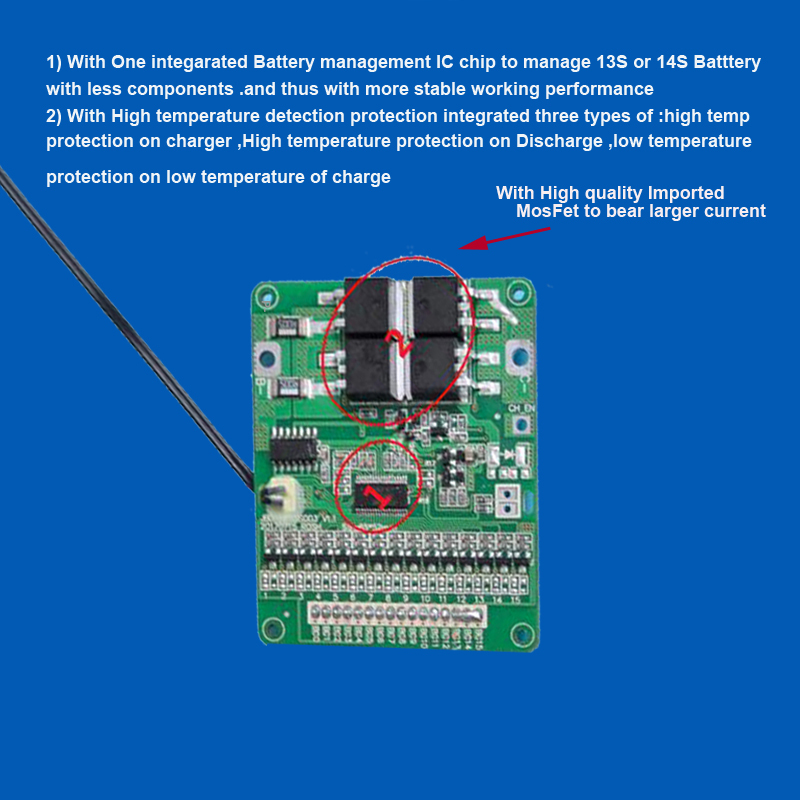 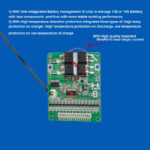 Application :This is The PCB for 13S 48V or 14S 58.8V lithium ion battery pack( typical voltage for single cell 3.7V ,and 4.2V after full charge )with 20A or 30A constant discharge current ,client can choose it from the specification selection. 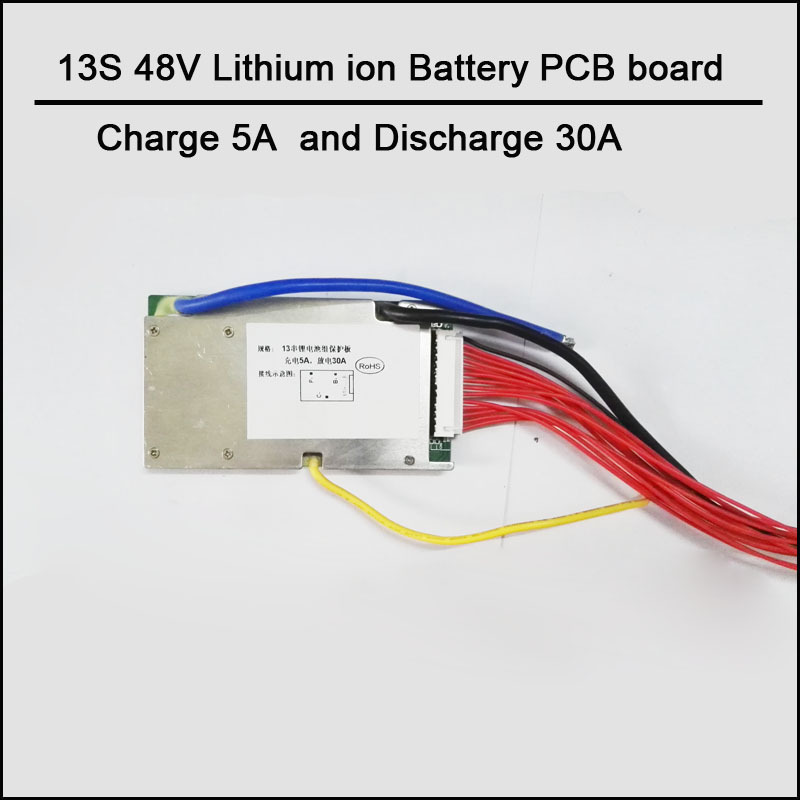 Charge and discharge : With the same charge and discharge current . 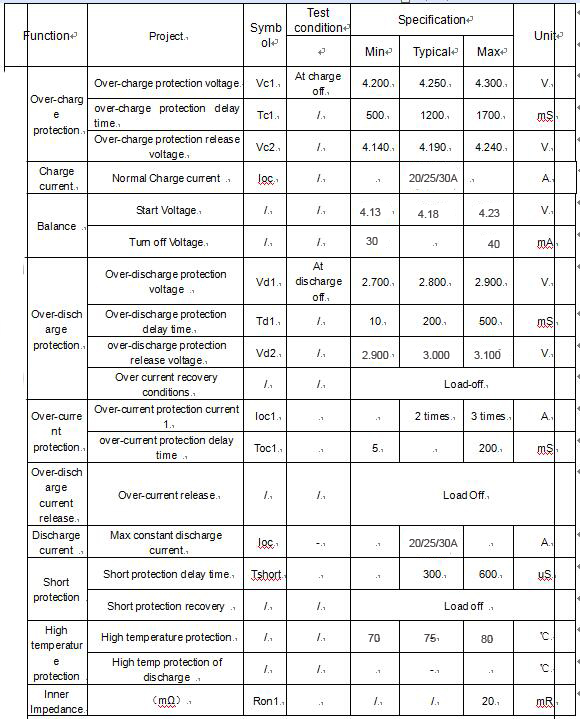 short-circuit protection ,automatically voltage balance function .three levels high temeprature detection protection function. 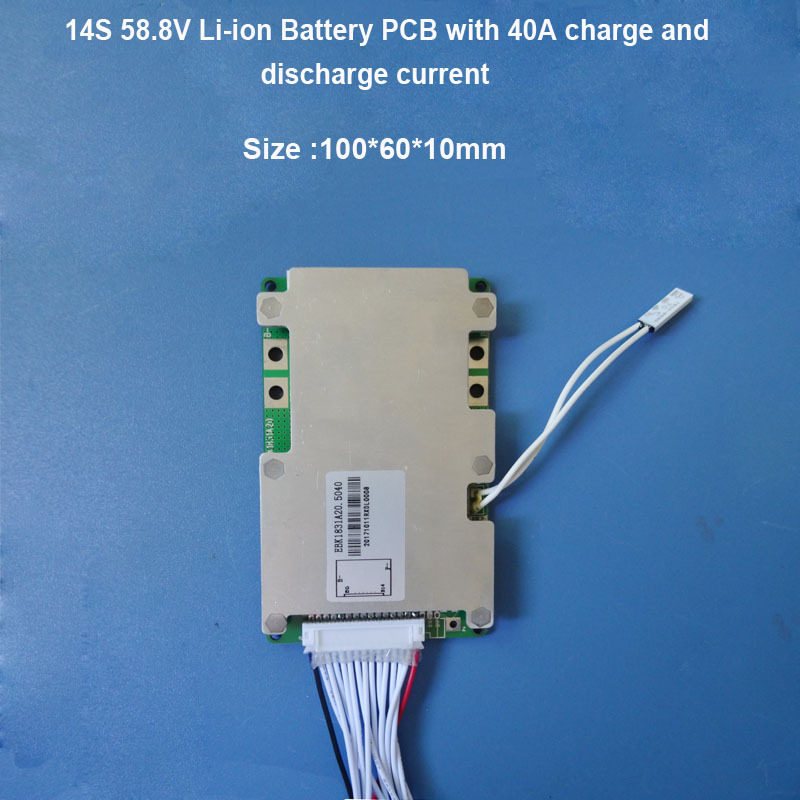 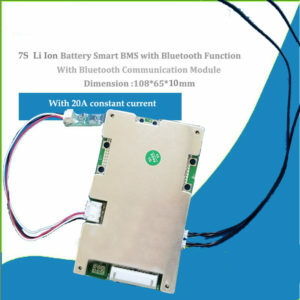 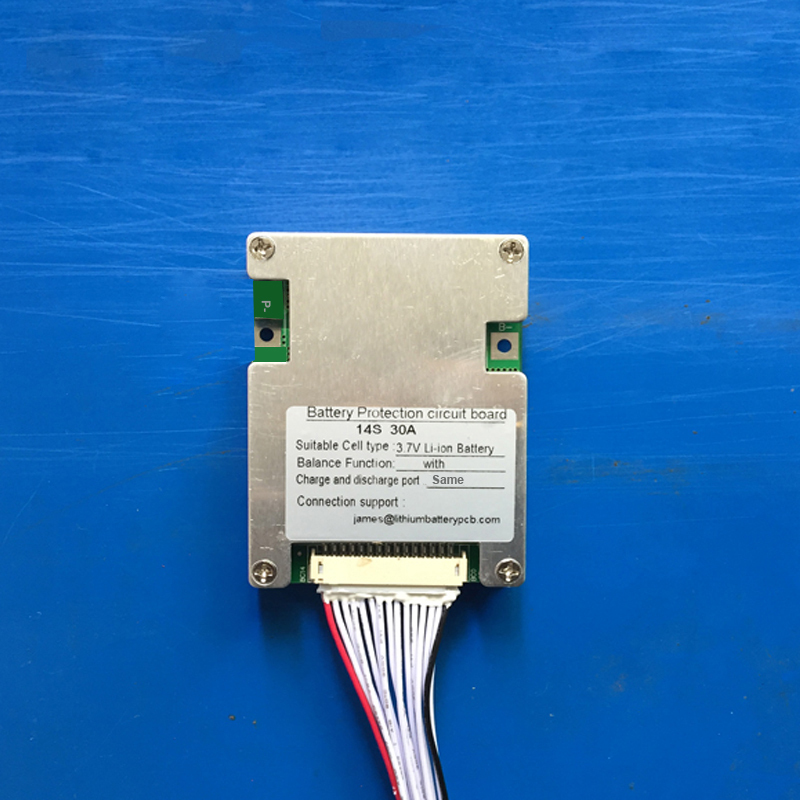 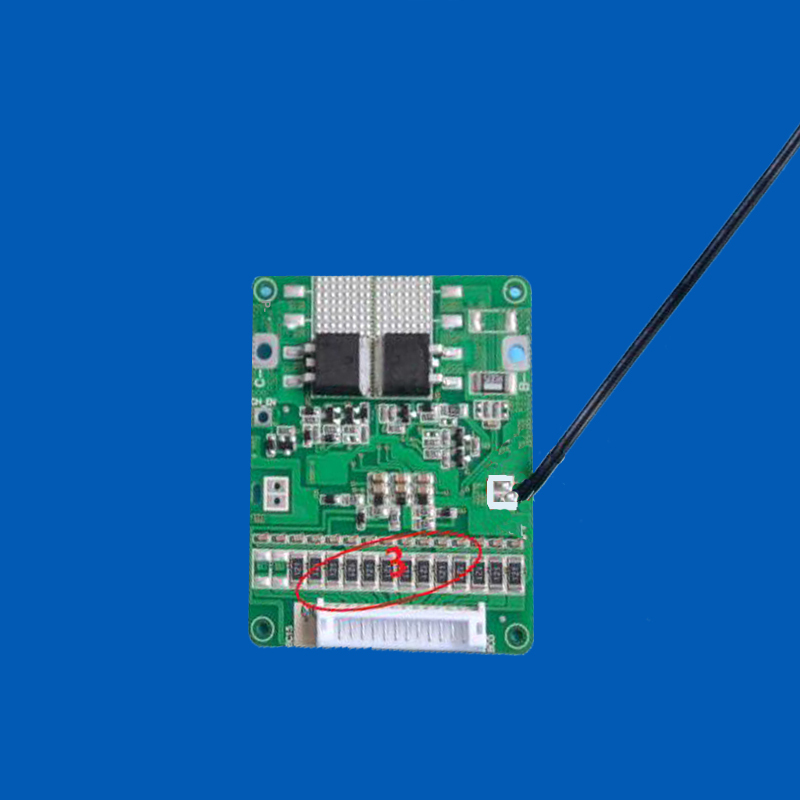 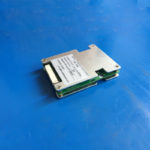 Advantages : this PCB board was built with high integrated IC chip to manage whole battery ,thus reduce the numbers of components , the reliability performance in long run time has been improved highly .